Lego Boost High-Pitched Whine from Move Hub: Help! I am new to this forum and accidentally posted this elsewhere just now, so if you see this twice, I apologize. I was hoping someone here could help me. We got a Lego Boost for our daughter for Christmas and she recently started digging in to the different designs. She just built the guitar, and once she attached the "strumming" mechanism and the "whammy bar," anytime she uses one of those items, the Move Hub makes a loud whine. We can't get the whammy bar function to work at all, it just makes the Move Hub whine when we move it. The strumming tool works, but it also makes a high-pitched whine when we move it up or down. I am dumbfounded, as I know all the actual sounds are supposed to come from the iPad. These high-pitched whines, however, are coming from the Move Hub most definitely. It makes the guitar model almost unusable because it overpowers the sound of the guitar coming from the iPad. Does anyone have any explanation for this? I am torn between returning the whole set and trying to figure it out. I don't want to wait too long and miss my return policy deadline, but my daughter loves the set and I would love for it to work for her. I have actually heard the high-pitched whine in a number of YouTube videos of people using the guitar, so I'm hesitant to think that I just got a bum unit. Lego has been nice enough to offer to change out the Move Hub, but I am worried that one will be the same, and by then I won't be able to return the set. Ugh. Sorry for the long post. I'm just really frustrated by this sound coming from the Move Hub, which I cannot get rid of. Any help would be SOOOO appreciated! 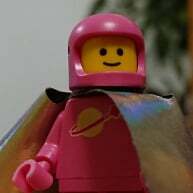 Better to contact LEGO Customer service than return the whole set, there’s a good chance they can replace the hub if there is a problem with it. Thanks so much for your advice. I contacted Lego, and they are going to send me a new Move Hub. I'm just worried it won't solve the problem, as I have seen it happen in other online videos for the set. I wish I had an explanation for what it was! Is the hub motor getting jammed or moving really slow? The only thing I can think of is PWM motor whine (a little bit is unavoidable, but screeching means a faulty motor). I know the old Record N Play hub emits faint static when switched off.